This was a birthday trip for a friend . The view from this room was outstanding. I woke every morning with a view of the ocean. There was a full kitchen. The staff was super helpful. The private beach wAs lovely and not crowded. There is a grocery store with Starbucks and liquor and restaraunts close by just a couple blocks walk. Uber is easy to get . Many drivers speak Spanish so if you do too it’s very helpful but not necessary. We left from there to go on a cruise and it was about 30 min to the port. Place is great 👍 location is perfect right on the beach you can watch the sunrise in the morning. :) Run or just walk on the path. Staff is very friendly and helpful. Thank you Einav for everything, see you next time . Location is on the family friendly North Beach area, no crazy loud parties or clubs to keep you up at night. Nice big heated pool at ground level and then a smaller pool and hot tub on the fifth floor roof deck. Apartment is a big one bedroom, AC worked fine. There are sufficient restaurants along with a CVS and Publix within walking distance and SoBe is a $10 Uber trip away. The property is stunning,views are absolutely beautiful.The staff was amazing! Going back ASAP! Very close to the beach, clean, kitchen was fairly well stocked, relatively new bathroom and kitchen fixtures, HBO, nice balcony with both sitting and lounging chairs, very helpful staff on the 8th floor. Everyone was friendly and the location was perfect! very large apartment, outstanding ocean view, plenty of space, staff extremely helpful in particular Beatriz Gomez who helped us to solve some problems with the change of flights due to hurricane Florence. Everything else!!!! Beatriz and her crew are amazing!!! Location, location, location! Very clean apartment and attentive staff! 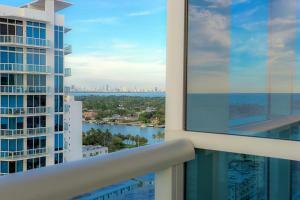 Lock in a great price for Cote D'Azur Ocean Apartments Miami Beach – rated 9.3 by recent guests! One of our best sellers in Miami Beach! 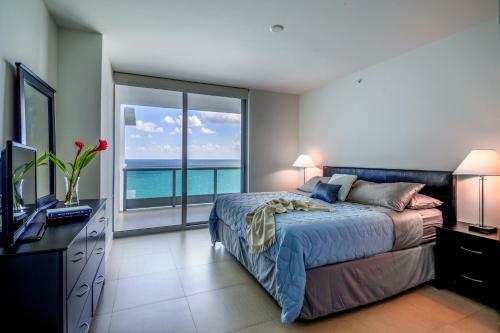 Cote D'Azur Ocean Apartments Miami Beach has a hot tub and a sauna, as well as air-conditioned accommodations in Miami Beach. 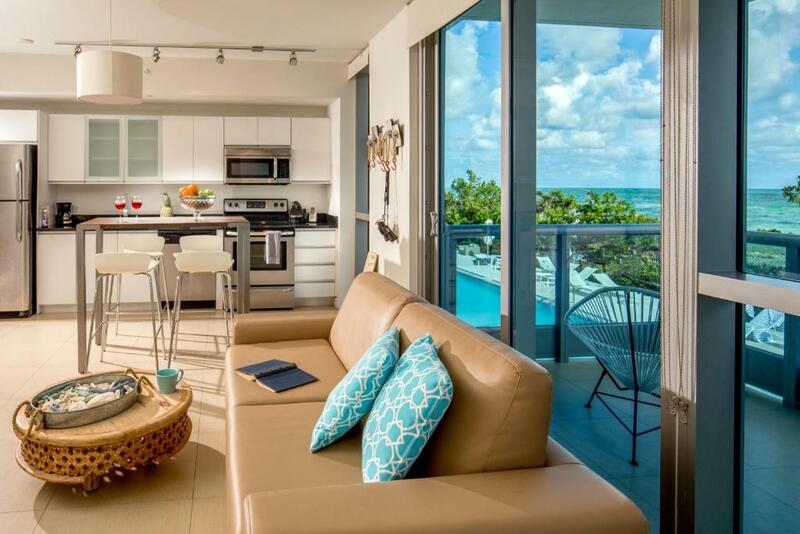 All units feature a cable flat-screen TV, a private bathroom and a fully equipped kitchen. A dishwasher, an oven and microwave are also featured, as well as an electric tea pot. Guests can enjoy the outdoor swimming pool at the condo hotel. Holocaust Memorial is 5 miles from Cote D'Azur Ocean Apartments Miami Beach, while Miami Beach Convention Center is 5 miles away. The nearest airport is Miami International Airport, 13 miles from the property. 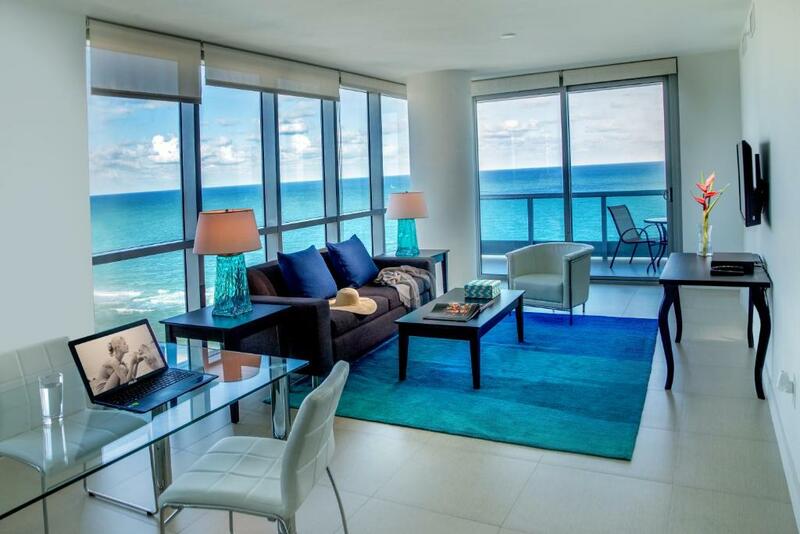 When would you like to stay at Cote D'Azur Ocean Apartments Miami Beach? This apartment has a balcony, toaster and kitchen. This 1-bedroom apartment includes a living room, full equipped kitchen and a private bathroom with a hairdryer. This 1-bedroom apartment features a spacious terrace with views of the bay. 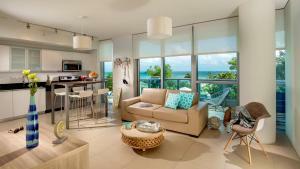 A fully equipped kitchen and living room are provided, as are a washing machine and dryer. 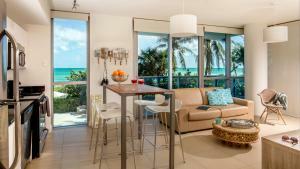 House Rules Cote D'Azur Ocean Apartments Miami Beach takes special requests – add in the next step! Cote D&#39;Azur Ocean Apartments Miami Beach accepts these cards and reserves the right to temporarily hold an amount prior to arrival. 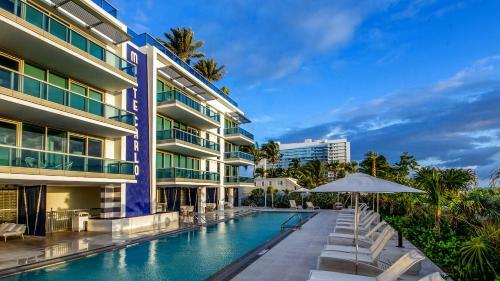 Cote D'Azur Ocean Apartments Miami Beach accepts these cards and reserves the right to temporarily hold an amount prior to arrival. Some of the mattresses seem very worn and no one wants a sore back on vacation. It seems they could have given more than one set of beach towels too. Everything was amazing and the staff is very friendly and the place is very clean. Cote D'Azur Ocean Apartments is located on Collins Avenue ,65th St Junction on Miami Beach. It is an excellent location for a Vacation. The Staff are very friendly professional people providing great customer service. The Apartment are very spacious with all mod cons. The two swimming pools are heated with plenty of Deck Chairs etc for guests. The beach is directly in front of the Apartments with Sun Loungers for guests. The free bicycles were great. I highly recommend this facility to other Vacationers. Uncomfortable sofa bed, very noisy in the living room area (AC and fridge) when sleeping on the sofa bed even with ear plugs. Some of the concierge people were not that service minded. Nice pools, gym and beach. Very nice view from the large balcony. Strength the flush of the toilet and then everything would be perfect. It has a balcony with the perfect sight of the Atlantic ocean, and this worth it. The interior decoration had a budget profile. 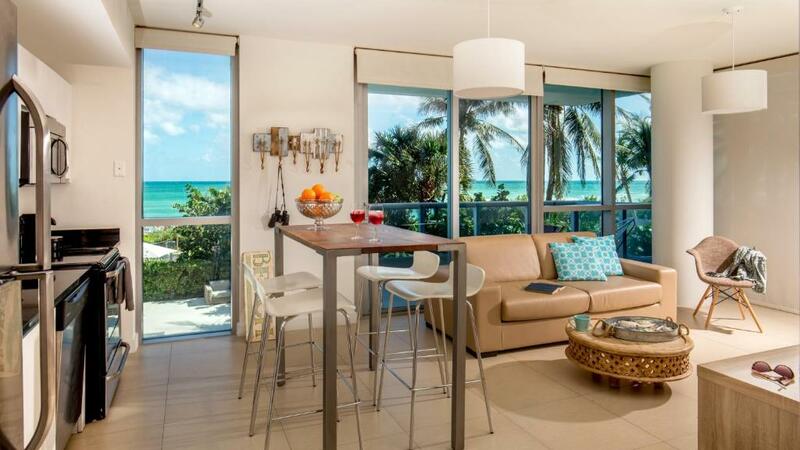 Excellent location with a view of the Atlantic and easy access to the beach. We had a balcony facing the ocean with an uninterrupted view. Great amenites and we used the gym, the pool and loaned bikes. The staff were very helpful. This is an apartment building masquerading as a resort. Do not expect a resort, there are no restaurants or services (other than beach chairs) provided by the property. There are multiple "owners" you book through and each mgmt company owner is responsible for booking, concierge service to off-property activities and cleaning the apartment. You must wear a resort bracelet (like an all-inclusive resort) but it is pretty much useless since security doesn't check you before entering the building elevators. The apartment is not cleaned during your stay and you are given 1 beach and 1 bath towel for each traveler along with a single small bar of soap and shampoo/conditioner. I recommend you bring soap, shampoo and clothes detergent (there is a W/D in the apartment) prior to arriving. Some small issues like a power outlet in the kitchen that didn't work, an ironing board that was broken, water pressure in shower was low, very few cable TV stations were accessible, small bed for two people. The location was great. The apartment was awesome. The amenities were wonderful. I really don’t have anything bad to say about it. The many fees for things that seemed unnecessary.